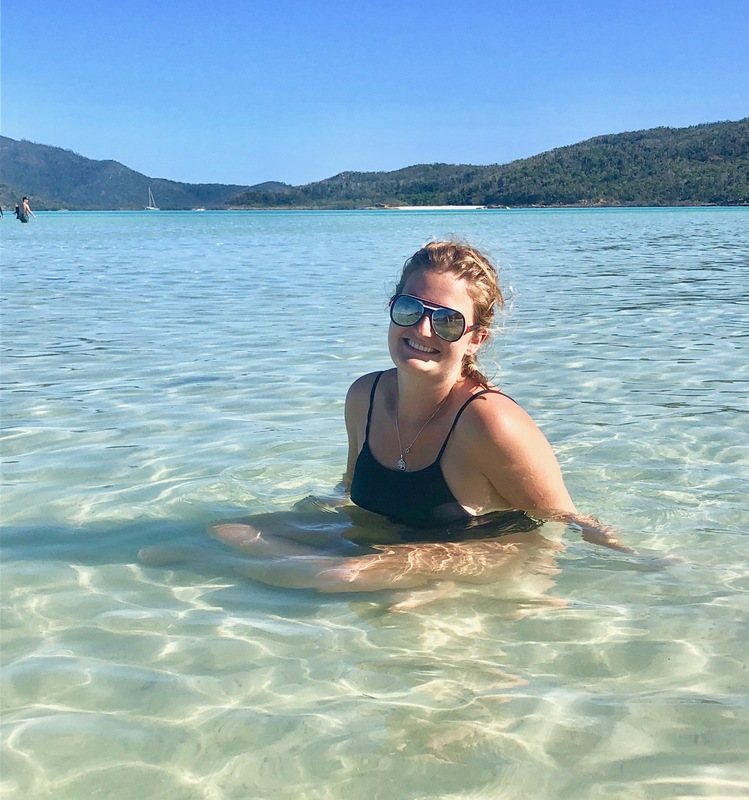 After about a week cruising south from Cairns in our rental car, we hit Airlie Beach, the jumping-off point for a visit to the Whitsunday Islands. 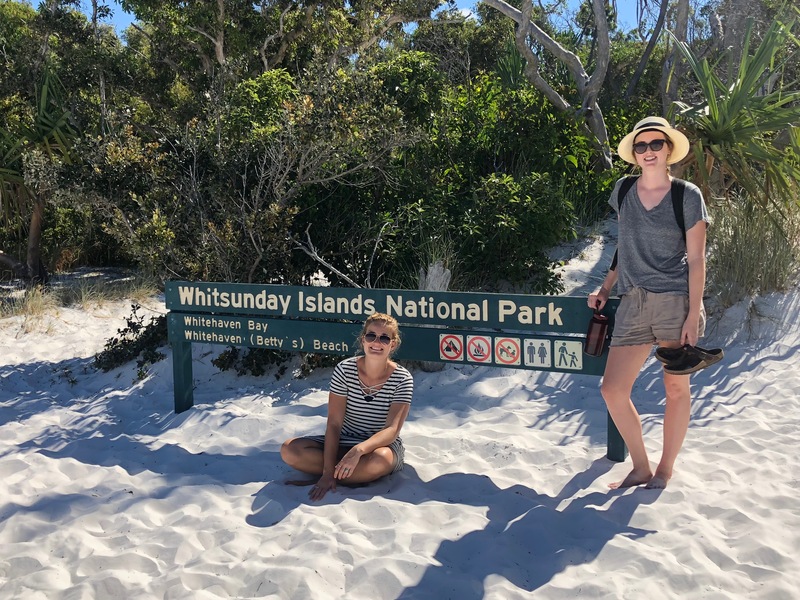 It’s a favorite stop on a road trip down the east coast of Australia, where backpackers enjoy booking sailing trips for multiple days to explore and enjoy the natural beauty of this collection of islands. 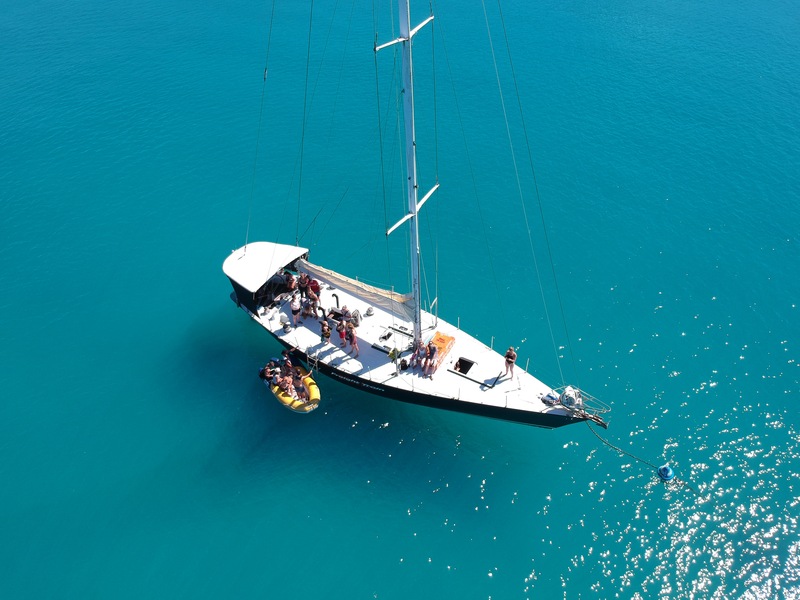 There are a variety of tours available, sailing on both monohull and catamaran boats, sleeping overnight onboard, and enjoying the sunshine and stunning views of these islands, as well as hike around the National Park. We set off the first morning after a safety briefing in the Abell Point Marina. 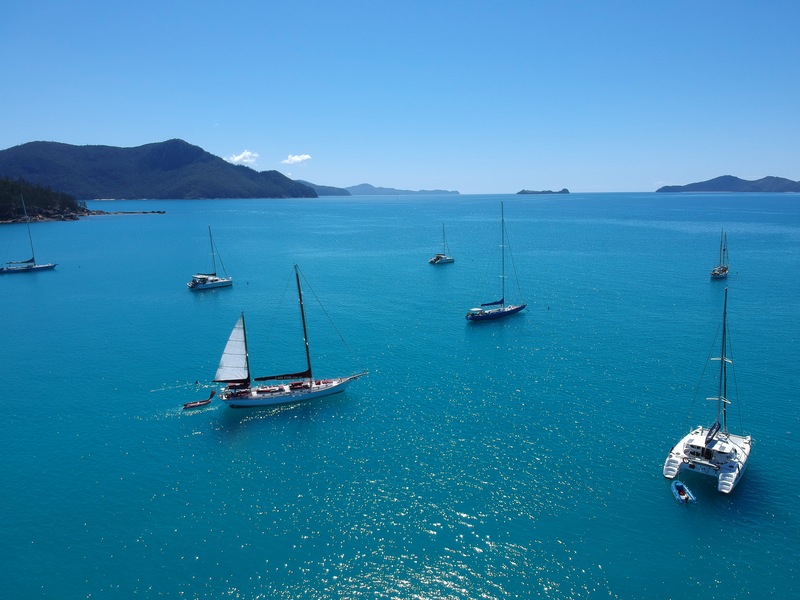 The sun was shining and there wasn’t a cloud in the sky, I was excited to lose service and just unplug while sailing through the calm waters off the coast of Airlie Beach. There were about 18 people on our boat, and together we were off to spend a night at sea. There was a mix of fellow travellers from all over, Germany, England, France and more. 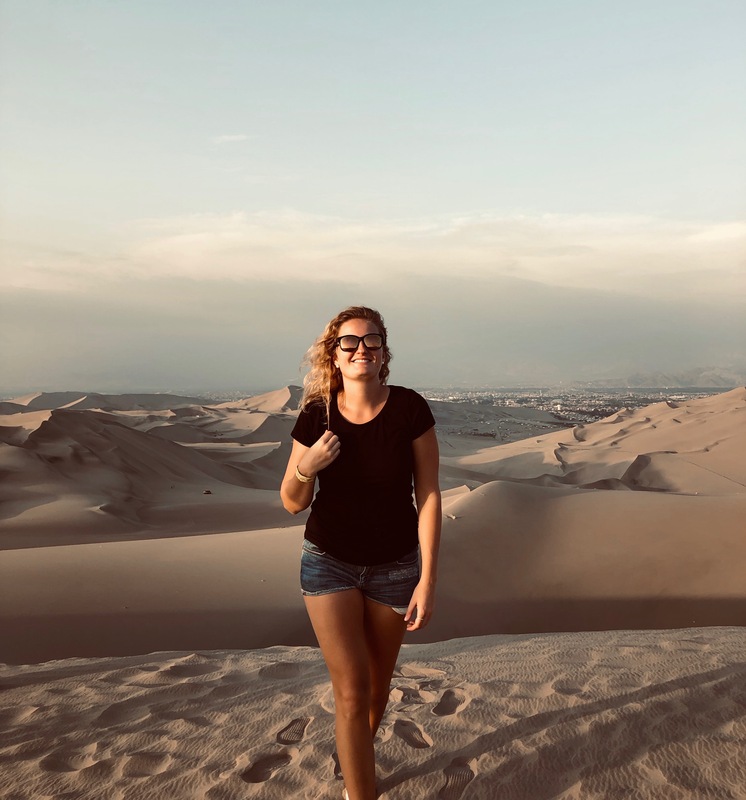 While we had an amazing time during the trip, I wouldn’t recommend our tour provider considering the amount of other options there are for this experience. While we made the most of it, the captain was an unsavoury character who did his best to make many of the guests feel uncomfortable. 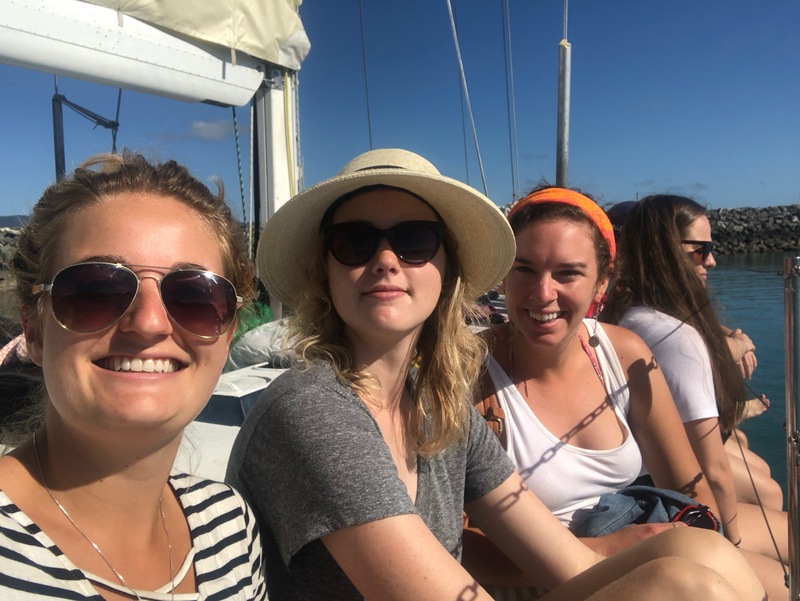 The other two crew members were great, however, and did their best to make it a great time, including preparing all the meals and driving us to and from the shore on the dinghy. 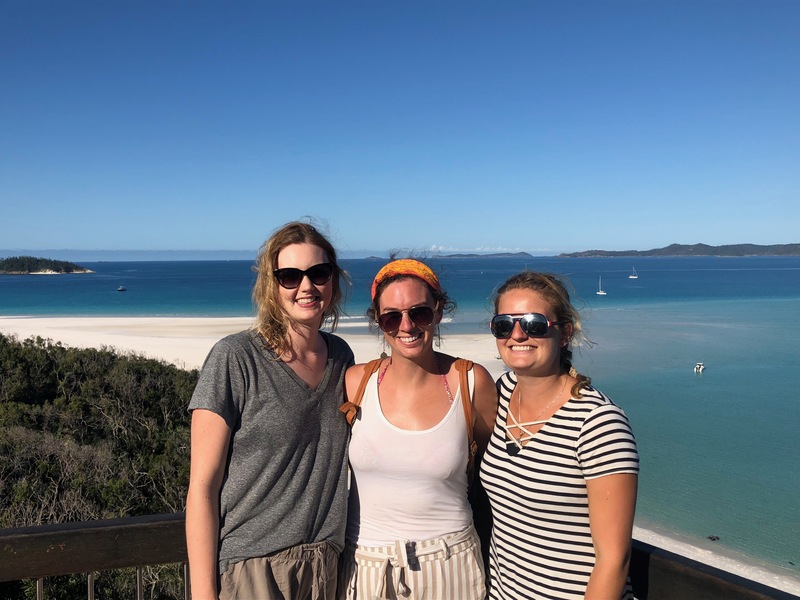 The first day we cruised all the way to Whitehaven Beach, rightfully considered the most beautiful beach in the world. The word “pristine” is so overused in travel writing, but there’s no other way to describe this stunning spot. 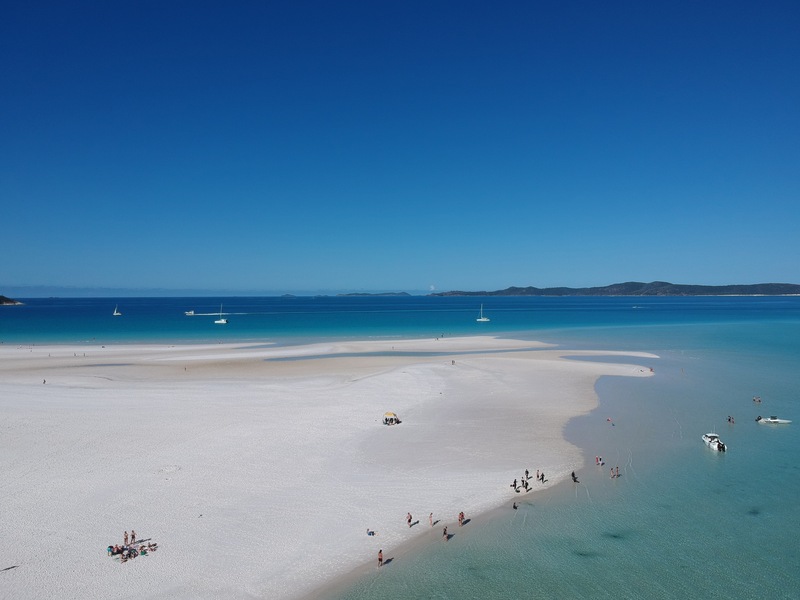 There is no garbage, it’s not overrun with tourists, and there is minimal boat traffic to disturb the crystalline blue waters and white silica sand. 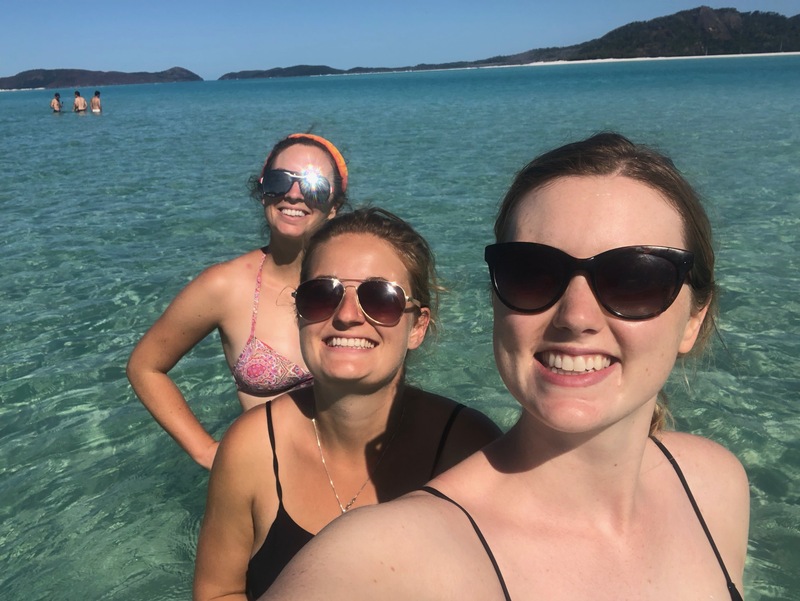 After a brief hike to the peak with the most incredible view of Whitehaven beach, we made our way down to swim in the water. The sun was scorching hot, even though our visit was during the middle of “winter” for the southern hemisphere. We waded in the shallow waters around the beach, and saw a bunch of stingrays quietly scooting along the bottom. It was an awesome place to fly my drone, as well as just relax and soak up the sun on the sand. Sleeping on the boat was not my favourite part of the experience. Katie and I shared a double bed, and while I tried to sleep on the inner bit, I woke up in a claustrophobic panic, like a cat trapped in a box. I’m not sure if I got much sleep on the boat at all, but since it was only a 1-night, 2-day tour, I knew I’d be able to power through until we got back to land. I’d highly recommend bringing a bit of alcohol, sleep aids, or something else to help you pass out on the boat, since the constant movement and close quarters are less-than-ideal for getting rest. It makes sense to me now why sailors are alcoholics. On day two, we woke up fairly early to sail out for a snorkel before heading back into port. 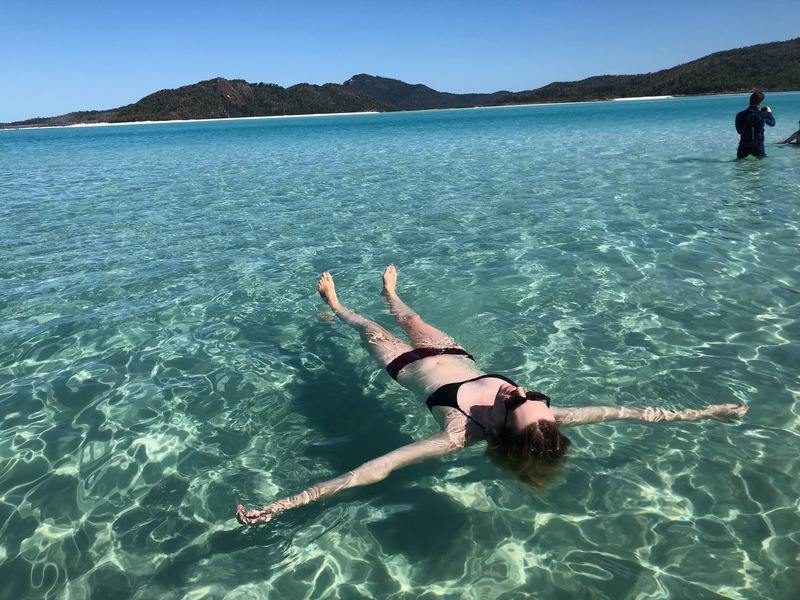 While the Great Barrier Reef does extend to this part of the coast of Australia, the snorkelling was not the best due to the damage this region endured in a cyclone that hit the coast hard. It was still cool to see lots of corals, lots of Christmas tree worms, and giant clams, which were my personal favourite. The iridescent purples and blues of their “mouth” which would pull back when you drifted too close were remarkable. 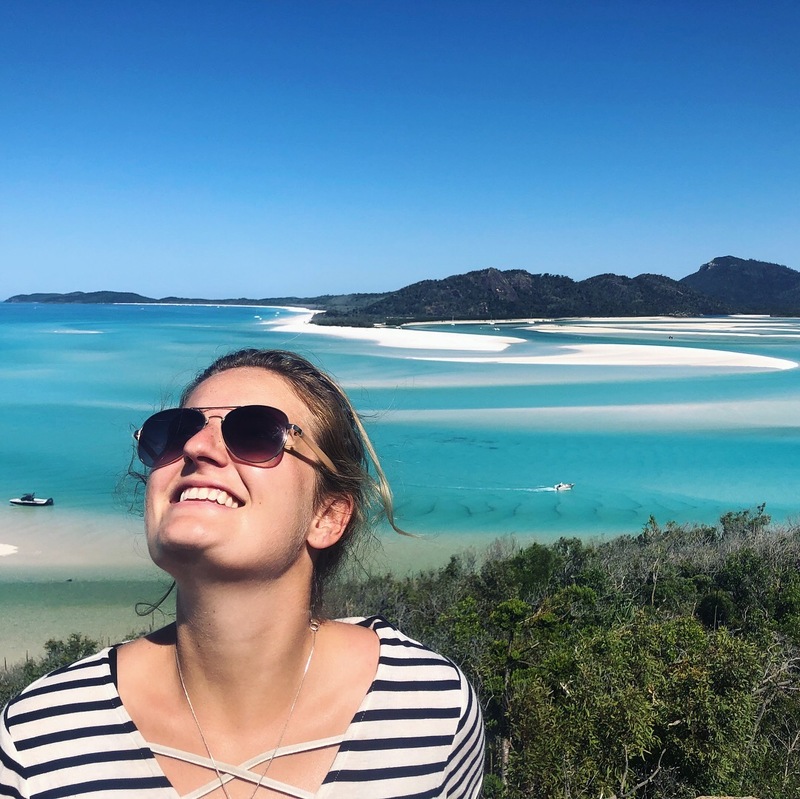 The Whitsunday Islands are a must visit if you’re trekking through Queensland in Australia. Sure, the sleeping accommodation is less than ideal, and you never know what sort of crew or group you’ll be with, but making the most of it is easy when your surroundings are so beautiful. Bring plenty of sunscreen, seasickness tablets, and sunglasses.